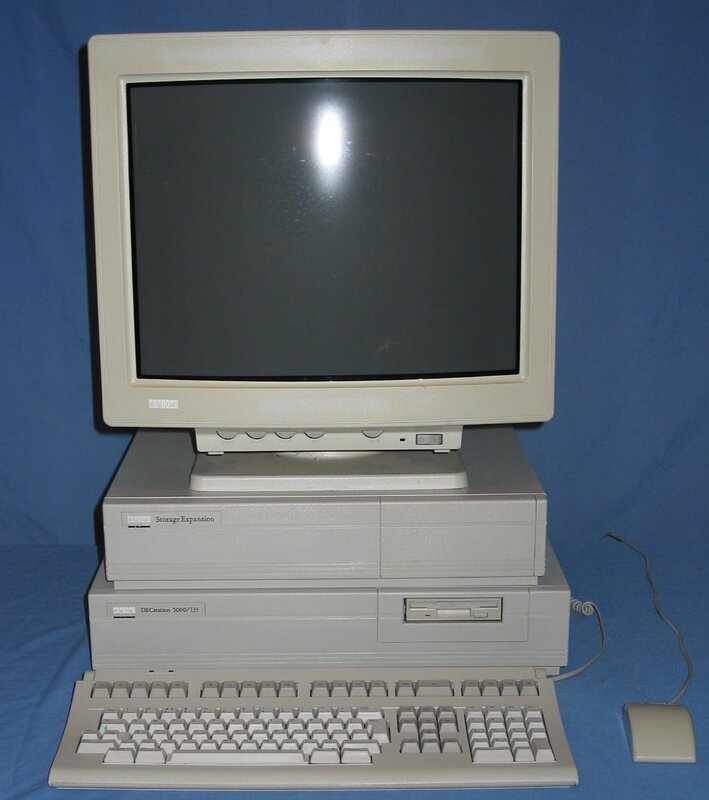 A complete system consisting of a DECstation 5000/133, storage expansion, 20" display, mouse and keyboard. 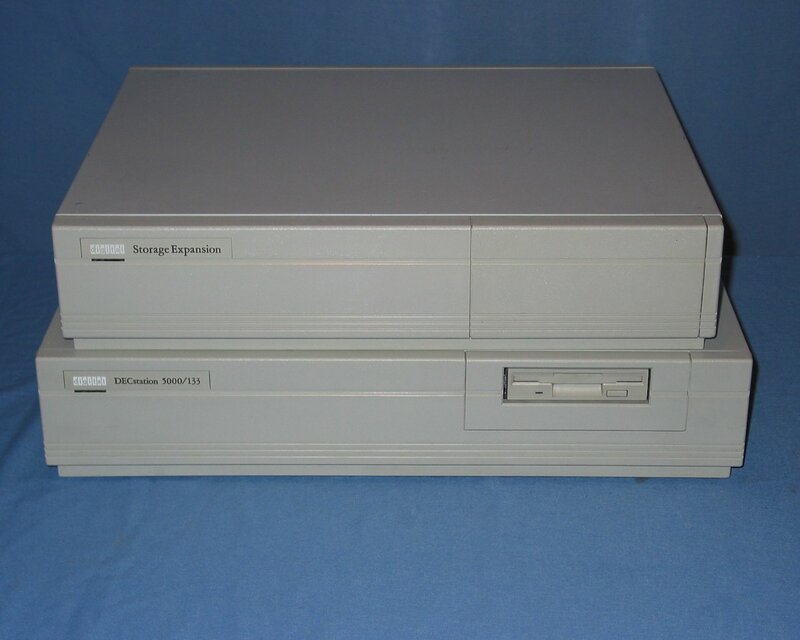 The storage expansion unit is actually a better match in size for the DECstation 2100 rather than this system. 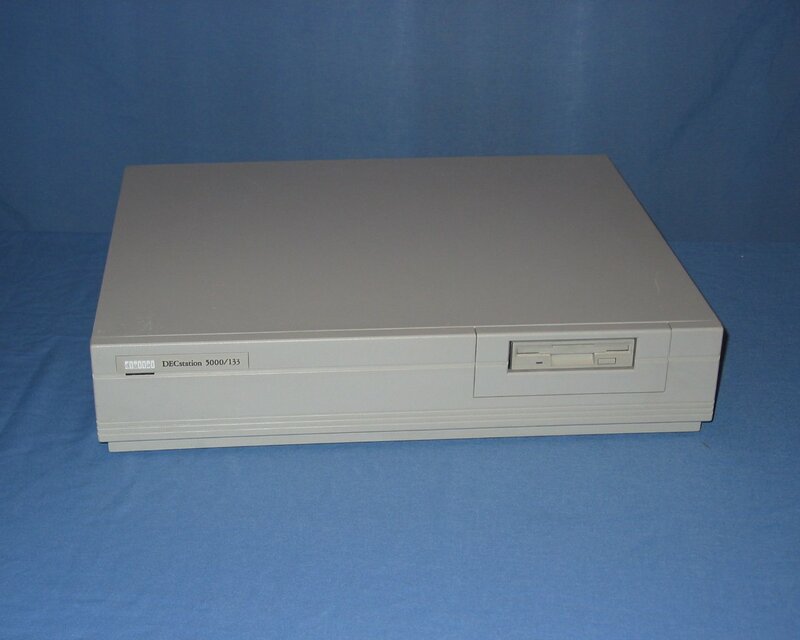 The front of the system unit features a floppy disk drive on the right hand side. 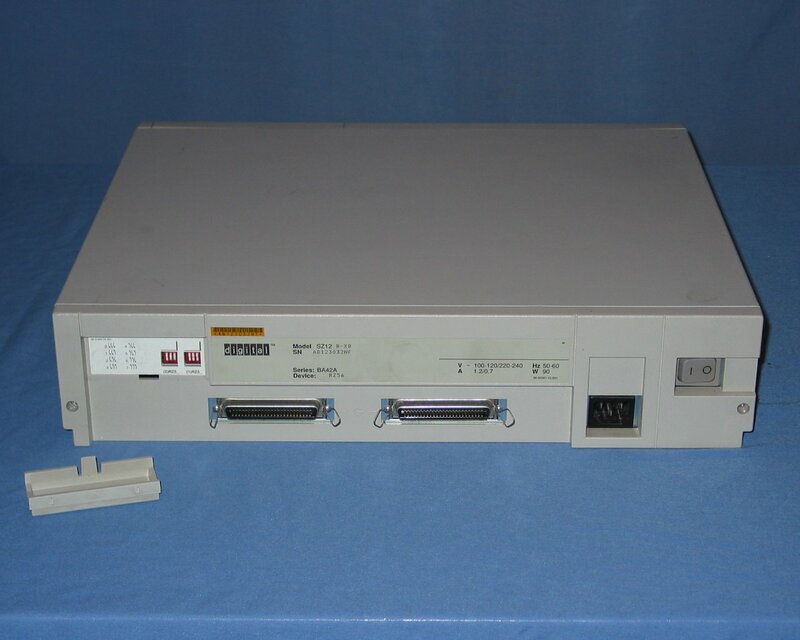 The rear of the unit features (from left) SCSI, ethernet, two serial and a keyboard/mouse port across the bottom. In one of the three expansion slots is a framebuffer. 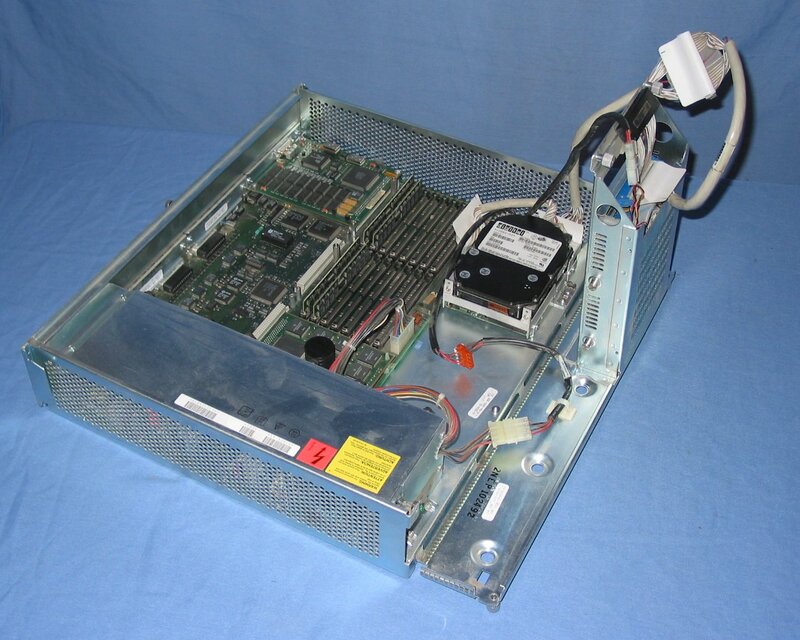 The front of the case, including the floppy disk drive, tilts forward to provide access to the hard drive and greater access to the memory slots. 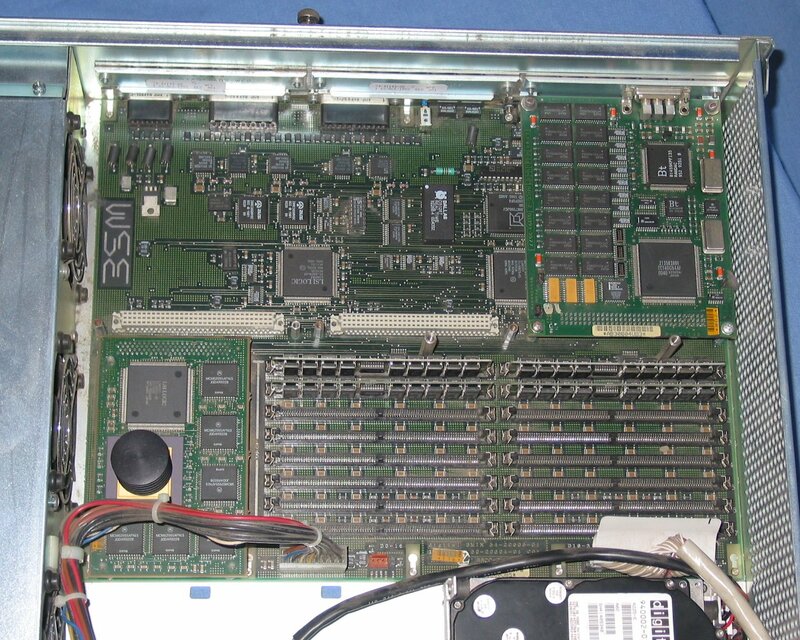 A closeup of the logic board. The rightmost expansion slot has a framebuffer installed which makes this a DECstation instead of a DECsystem. 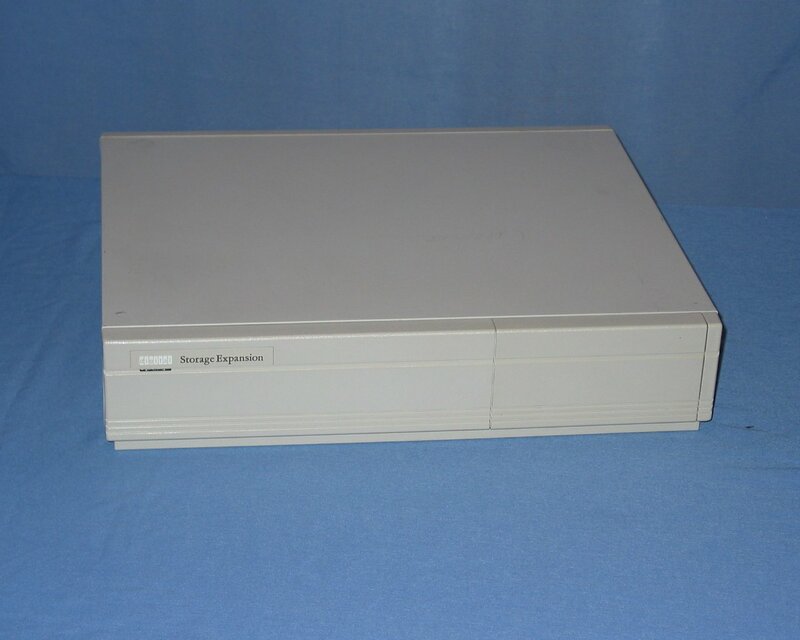 The front of the storage expansion unit features a panel that I believe can be changed for one that supports a CD-ROM drive. 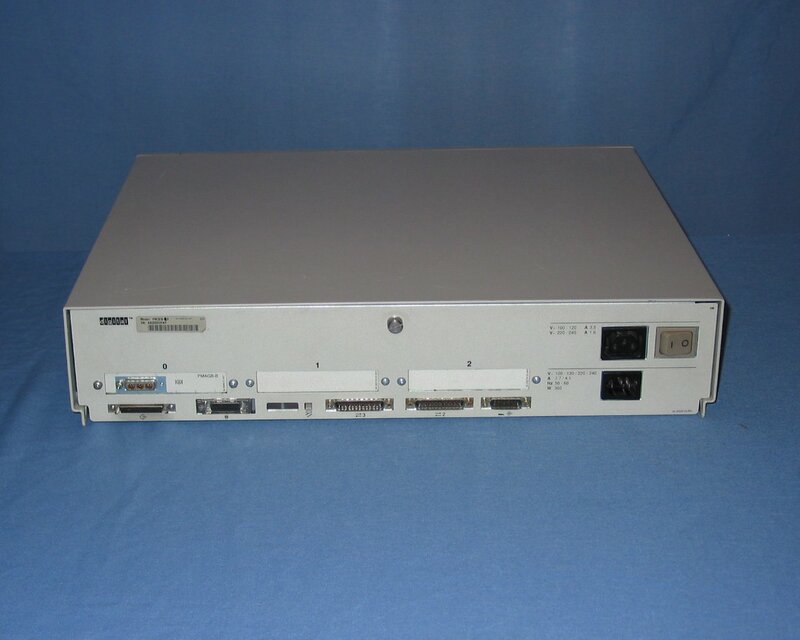 The rear of the storage expansion unit features a power connector and two SCSI connectors. Underneath a cover are dip switches to set the SCSI id of the installed devices. 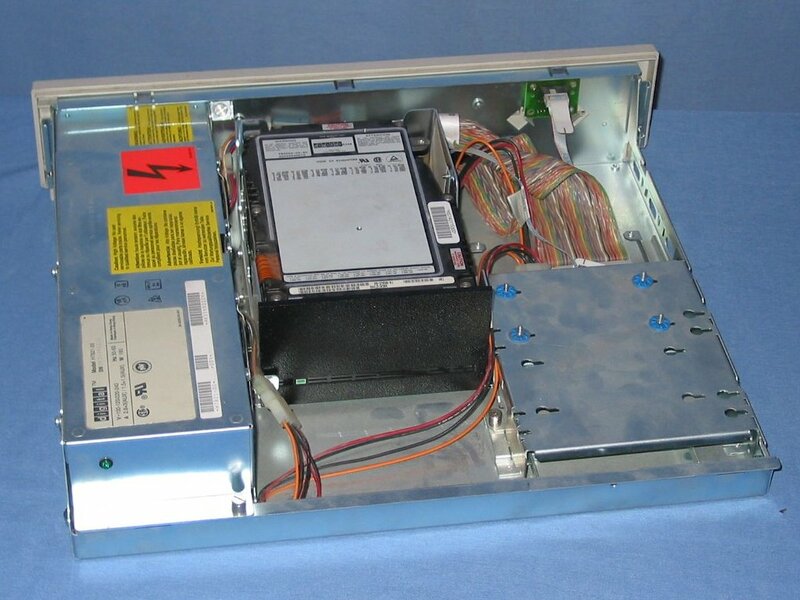 The storage expansion unit with the cover removed to show the full height 5.25" hard drive and the location for a CD-ROM drive. 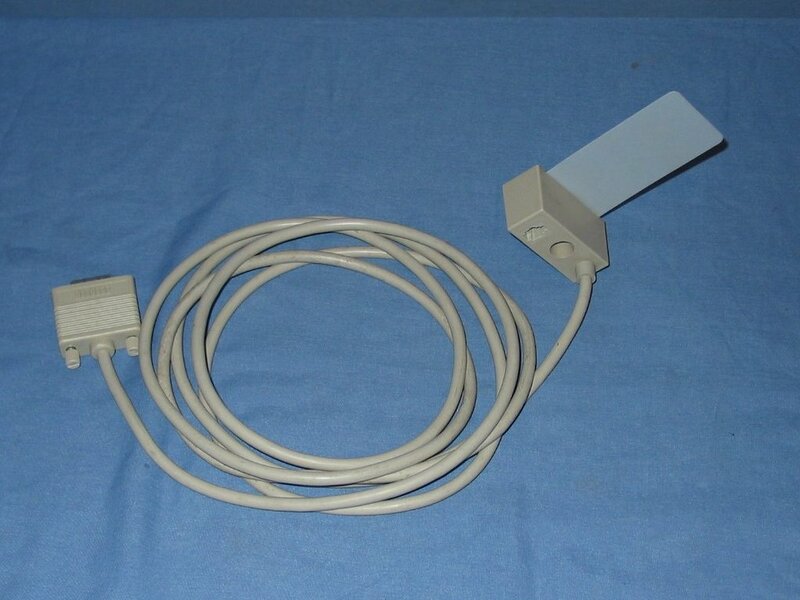 This cable converts the DA-15 connector on the system unit to the two distinct connectors for the keyboard and mouse.